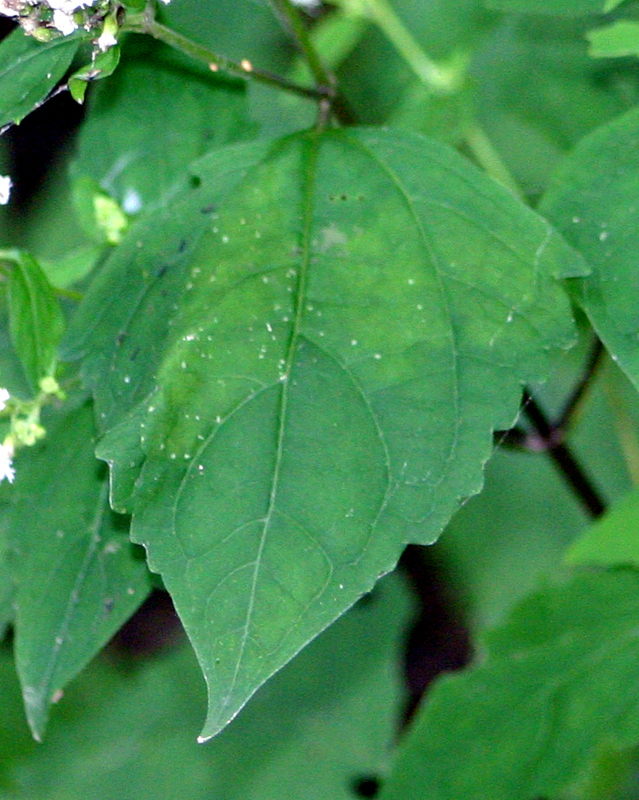 Milk of cattle that have eaten this plant may be toxic. See Notes. 0.6-1.5 meter (2-5 ft) perennial with opposite leaves on thin stalks. 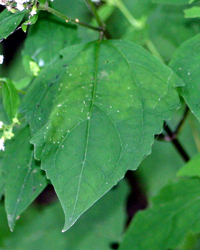 Leaves are heart-shaped and toothed. 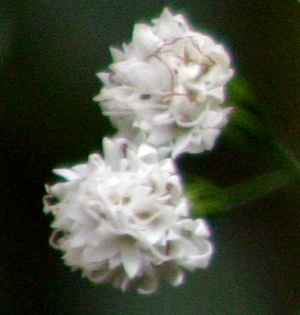 Flowers are white and in branched clusters. Flowers found from July through October. Found in thickets. Ranges from Quebec to Georgia and west to Texas. 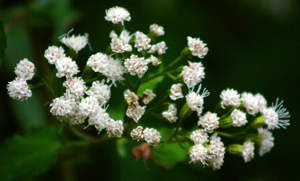 Root tea used for ague, diarrhea, kidney stones, and fever. Root poultice used to treat snakebites. Smoke from burning green leaves used to revive unconscious people. 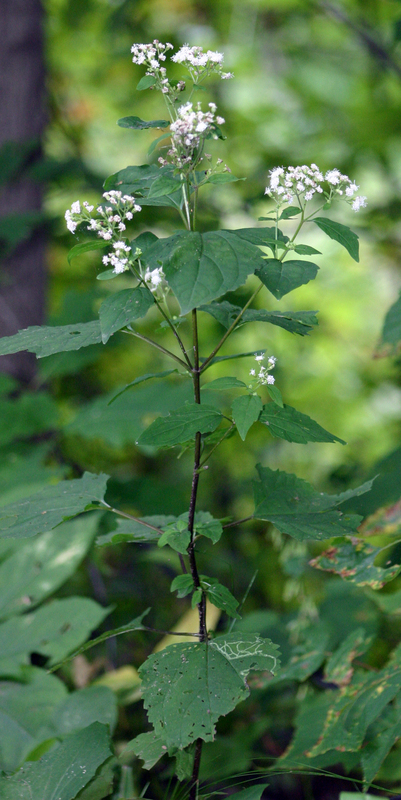 Weakness and nausea may result from drinking the milk of cows that have grazed on White Snakeroot. Abraham Lincoln's mother is thought to have died from this "milk sickness." Further symptoms include severe vomiting, tremors, liver failure, constipation, delirium and death.